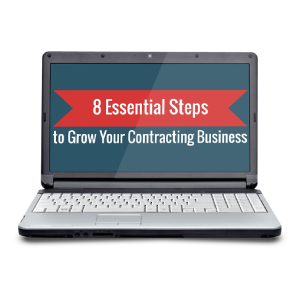 Grow your contracting business with the help of 8 Essential Steps to Build Your Contracting Business. Determine your current baseline so you can measure your growth. Train your staff in the field and in the office for maximum productivity. Fill out the form below to download 8 Essential Steps and discover the essential steps to growing your business without breaking the bank.